Let me start by saying this will not be a full-on review of The Green Hornet. Rather, this post was inspired by a recent viewing of said movie and my subsequent ruminations on the concept of a vanity project. For you see The Green Hornet is definitely a vanity project. It exists solely to fulfill some fantasy of someone involved in its production; in this case star, writer, and executive producer Seth Rogen. 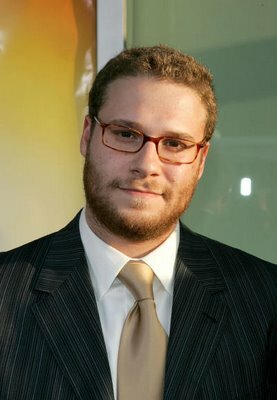 Sure, The Green Hornet went through several casting and directorial changes before settling on Rogen (and Michel Gondry, whose direction is really the only interesting thing about the movie) but once Rogen was on board, it became all about him. Unfortunately, his lovable, chatty doofus shtick can’t carry a whole action movie like this. There are peripheral arguments to be made that other films fit a kind of one-off definition of a vanity project. I’ve heard it said that Avatar was driven largely by James Cameron‘s ego, and I can find little fault with such a statement. Similarly, pretty much every M. Night Shyamalan movie is a vanity project; unfortunately, as his creativity wanes, so does his drawing power (to the point where theater-goers now laugh when his name appears in a movie trailer.) Mel Gibson’s The Passion of the Christ (a/k/a, The Jesus Chainsaw Massacre) is a special case. Here is a movie wherein the audience is subjected to pornographic scenes of torture for two hours, the dialogue is all in an ancient, dead language, and parents were encouraged to bring their children! Any other director pitches such an idea and the studio people call security within 2 minutes.